When Apple debuted a brand-new Apple TV device in 2015, many of us were left scratching our heads after the announcement. 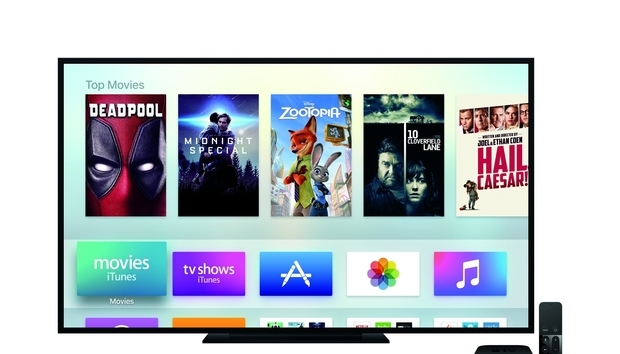 Where was Apple’s long-rumored TV streaming service? The WSJ report further explains that Apple was hesitant to share details about its planned service with providers—including what the Apple TV navigation UI would look like—which made it a hard sell. Apple also wanted all users to sign in with Apple IDs but leave billing and customer service up to the networks, and proposed $10 a month per subscriber as their revenue share. The full article takes an even deeper dive at all the details, which you can find here. The impact on you: This isn’t the first time Apple has driven a hard bargain when it comes to content sharing with other partners. With the launch of Apple Music in 2015, Cue had a very public discussion with Taylor Swift over artist royalties, which Apple didn’t want to pay during Apple Music’s three-month free trial. The company eventually reversed its decision, seeing the power that an artist as popular as Swift has over the industry. “We’re challenged in a lot of ways, but we’re not waiting for this white knight to come racing in the way music was,” one senior TV executive says. Apple’s hardware sales are down across the board, as shown during the company’s quarterly earnings report released on Tuesday. While they still earned $42.4 billion in revenue, new products and services in its arsenal will only help the company grow, especially when considering the required monthly subscription fee. Apple’s current TV strategy includes channel-based apps and an upcoming lineup of original shows. If we ever hope to see a true streaming service on the Apple TV, the company will need to be willing to bend their demands a little bit, and work with major network heads on a forward-thinking solution that works for all parties—including viewers at home.